We are the Cetaceans. Your Earth is biodegradable. Everything buried in your Earth, including waste material in the depths of the oceans, is biodegradable. However, this doesn't mean that all waste dissolves. It means that with enough time lapsing, eons and eons, your manmade toxic waste materials will biodegrade. Not so much from this natural process but from the poles shifting which instantly dematerializes everything because the magnetic force field is no longer in effect to hold any man-made things together. So, our warning to you is to desist now from further accumulations of toxic wastes so that the Earth can ascend without going through an Axis Shift in order to rid herself of these wastes. We, in your oceans, watch and wait, and know all that occurs on this planet, for we are the Guardians of Earth, and know and understand all that's taking place on your land. You, as LightWorkers, can change the mass consciousness of all humanity by grouping together and sending out light and love to all on Earth. The increase of Light will awaken all to the damages that have already taken place and people will start clamoring for reversal of the old ways of living. This is why, you as LightWorkers, incarnated at this time. You came here to reverse the deadly ways that humans dispose of their toxic debris by bringing Light to their minds and Love to their hearts. Yes, we were listening to your call. There have been massive oil spills – some of which were purposely perpetuated to destroy the Cetacean Species who inhabit the Oceans. We are the Cetaceans and appreciate your call. The outlook is dismal. Many of our Birthing Grounds have been destroyed and our food supply contaminated. We have agreed to finally leave and return to our home planet. We have no choice – humanity will survive, as a critical mass has now chosen peace, and the others will remain in the destruction they created. So nothing is lost – except the horrendous devastation of the planet – it's the last attempt to burn and destroy before being taken out. We, in the oceans, do our part by our continual flow of sending Love and Light to all on land. The Spiritual Hierarchy is in control. 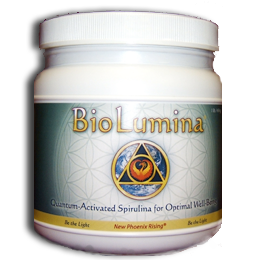 We are working closely with the Spiritual Hierarchy and we are IMMORTAL. We thank you for your questions and for working with us at this crucial time in Earth's history. 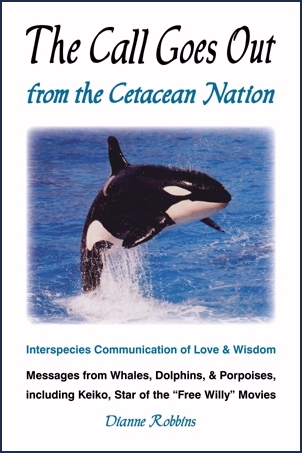 Please visit my website at www.DianneRobbins.com where you can order my book: "The Call Goes Out from the Cetacean Nation".